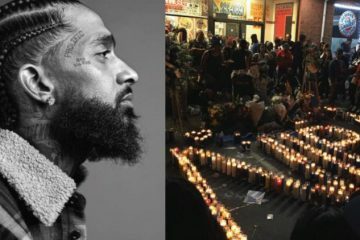 Those who knew him both loved and respected his commitment to the Fourth San Diego City Council District. 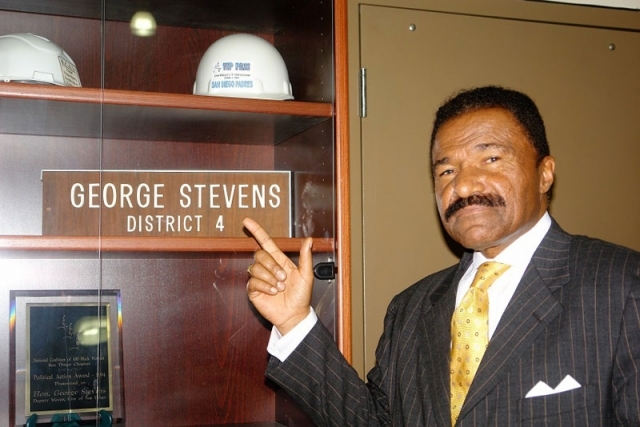 A formal Deputy Mayor, the late Rev George L Stevens (1932 -2006), was a Baptist Minister, and a leader in the civil rights movement who set the bar high for service in the City of San Diego. 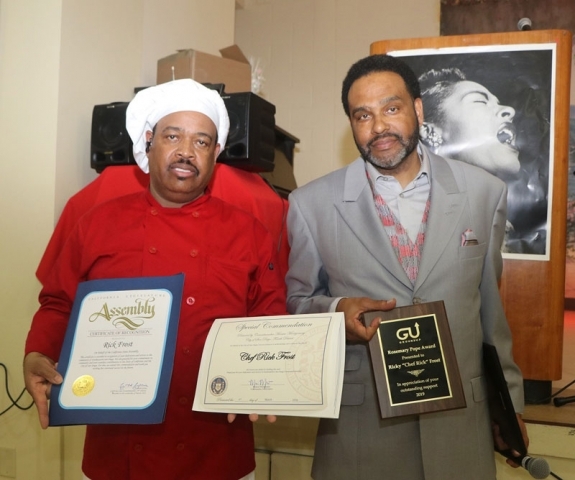 Through his activism, he galvanized a politically disenfranchised community and built historic monuments in his district to benefit future generations to come. 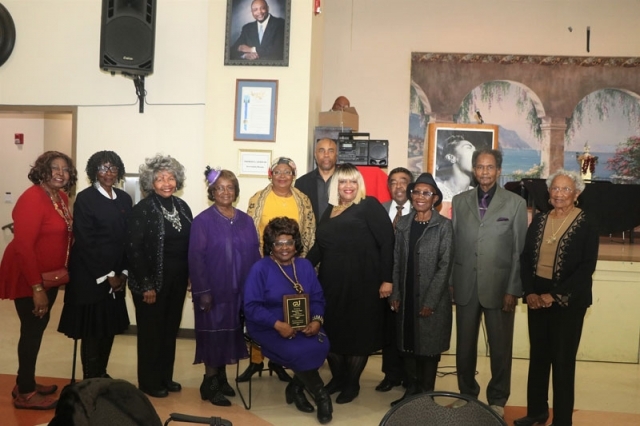 Saturday, March 2 the Senior Center named in his honor was the location of a celebration commemorating the 13th anniversary of its establishment as the vision and brain child of Mrs. Rosemary White-Pope, the mother of the late Councilman Charles L. Lewis, who was not only the protégé of Rev. Stevens, but who also succeeded him on the City Council after Rev. Stevens death. 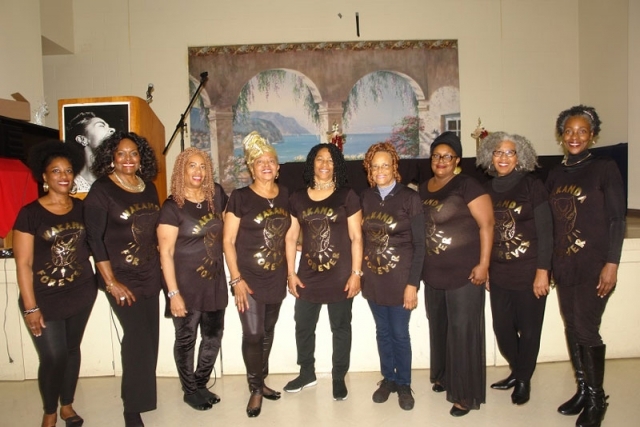 The celebration was co-sponsored by Ground-Up Youth Foundation, which was founded in 1994 as a Lincoln Prep Baseball Foundation, to give support to youth of all ethnicities. 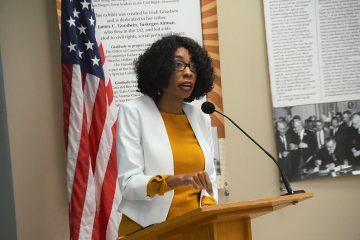 The event was also a celebration of the Lincoln, Morse and San Diego High School kids and their coaches who won the California State Football Championships. 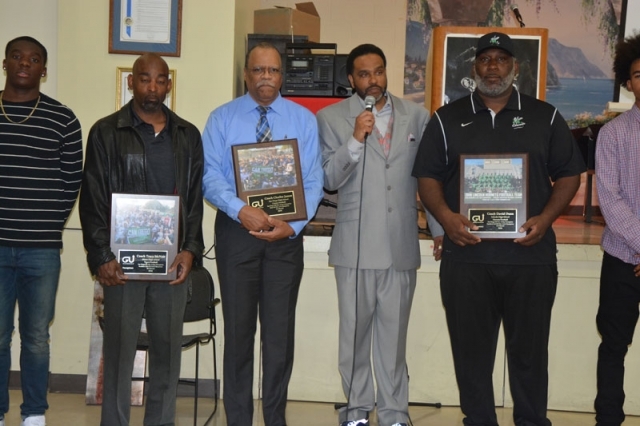 The event was also to honor the dedication of Lincoln High Hornets own Coaches, David Dunn, a former American NFL football player, Morse High Tigers Coach, Tracy McNair, and San Diego High Schools Cavers Coach, Charles James. All these men are professional ball players who came back to San Diego to give their life to the future youth, and the promotion of college opportunities. The highlight of the celebration was the introduction of the late Rev. George Stevens to the many who did not know him, through the eyes of his sons and daughter. 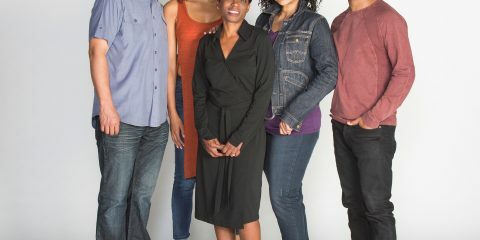 Eric Stevens shared his story of his father’s journey through higher education with a doctorate degree in theology and a Bachelor’s Degree from San Diego State University. His mission in life was liberation of all people. 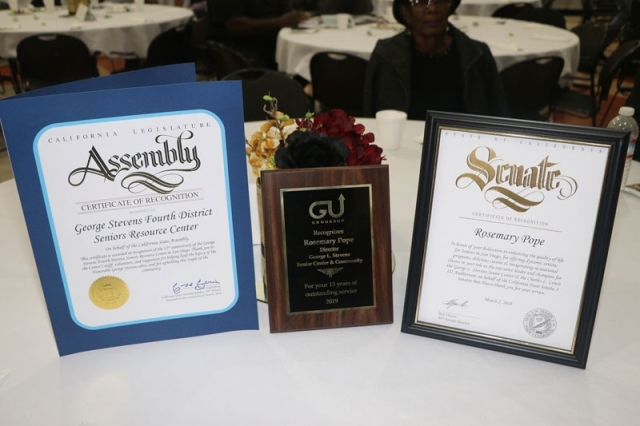 Son Marcus Stevens, the CEO of the George L. Stevens Youth Foundation, talked about how his dad was the voice of the voiceless and committed to building a better world. A well deserved honor.I had the pleasure and privilege of meeting Councilman Steven.In fact he was speaking at my church New Creation.We talked the Sunday he was speaking at New Creation.About two days later he called me and said he left his bible at New Creation and ask me to retrieve his bible and bring it by his office.I was honor that he called me. Stevens would turn over some tables to get the attention of the media to get my son’s story told.He was a student at Helix High.Thank you.